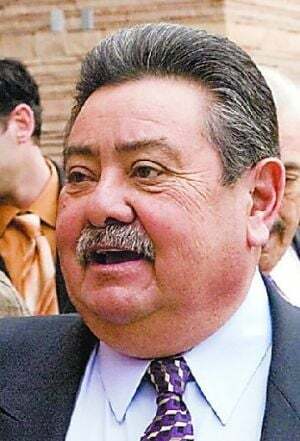 Former state Sen. Manny Aragon, known for years as the most powerful force in the state Legislature, was released from federal prison in Colorado Thursday. Aragon, 66, was serving time since June, 2009 in the federal correctional facility at Florence, Colo. for his role in skimming money from an Albuquerque courthouse project. It's not clear exactly where he is going in the immediate future, but a spokesman for the federal Bureau of Prisons told The New Mexican that it's normal for inmates to be released to a halfway house "for a period of transition and readjusting to society." Aragon's lawyer, Ray Twohig had no comment about Aragon. An employee of Twohigs confirmed that Thursday was Aragon's release day. Originally sentenced to five and a half years, Aragon's original release date was May 2 next year. Aragon, pleaded guilty in federal court in 2008 to three felony counts of conspiracy and mail fraud. All counts were related to a scheme to defraud the state of nearly $4.4 million in the construction of the Bernalillo County Metropolitan Courthouse in Albuquerque. The crimes took place while Aragon was serving as state Senate President Pro-tem.